Suffering from back, neck and other types of pain can be excruciating. A chiropractor in Tempe recently blogged about a study that found roughly 75 to 85 percent of people have experienced back pain. Unfortunately for many, finding non-invasive treatment options is difficult. Unfortunately, cold laser treatment isn’t for everyone — it is ideal for those with certain types of pain. There are other treatment options used for pain relief or pain reduction, but many patients choose cold laser therapy because it doesn’t require surgery or medications. The procedure can be performed as a standalone treatment or it can be used in combination with other types of therapies. In the medical community, cold laser is seen as a cutting-edge option for those who would like non-invasive treatment without sacrificing optimal results. To learn whether your condition can be successfully treated with this procedure, you’ll need to consult with a properly trained chiropractor. At Kelsall Chiropractic Clinic, you will find a highly trained Portland chiropractor capable of using cold laser therapy to treat your pain. 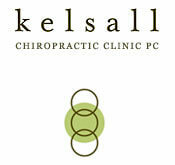 Schedule an appointment today to find out which treatment options are ideal for you. Governor’s Park Chiropractic, a Denver chiropractor, offers cold laser treatments to Colorado patients. Contact a local chiropractor trained in cold laser therapy today for a new pain reduction and relief option!